Reading Car Company is not like many other companies in our space. We don’t operate for the sole purpose of making money. We make models for 3 reasons. 1) Making models of rail cars and locomotives that we want to own. 2) Providing high quality kits, parts and RTR models to the backyard Railroad Community. We also operate differently from some companies in this space. We don’t take pre-orders for our RTR cars. RTR cars are either finished and unpainted, or fully painted. We don’t take pre-orders as we are a small company and our fabricators work other full time jobs and because of this, we can’t guarantee how long it will take to get your cars to you. You’re welcome to contact us to discuss your needs, but due to time restraints, we may not be able to fulfill your request. We don’t want to disappoint our customers by running past delivery deadlines. Russ handles sales and shipping for Reading Car Company as well as fabricating RTR cars for sale. Matt is one of our mechanical engineers and product designers. His specialties include cast steel products, cabooses and locomotives. 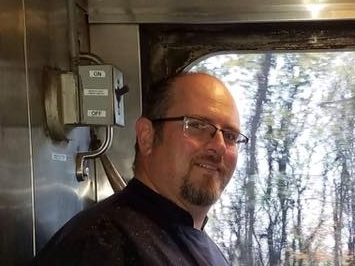 Nick is one of our designers and engineers and specializes in freight cars and detail parts. He also produces 3D test samples of our products to ensure our products are the highest quality.